Jewish and Muslim leaders in Ireland have expressed concern over a new European Court of Justice ruling which allows employers ban staff from wearing hijabs and other religious symbols in the workplace. Maurice Cohen, Chair of the Jewish Representative Council of Ireland, said his organisation was not in favour of the ECJ ruling which would necessitate those who wear head cover for religious reasons removing themselves from their place of employment. “We are not in favour of the ECJ ruling that employers are entitled to forbid Muslim staff from wearing headscarves. Not only is this discriminatory against Muslims and women but the ruling has implications for anyone wearing a religious symbol. “Orthodox Jewish men and women as well as Sikh men, for example, keep their heads covered at all times and this ruling would necessitate them removing themselves from their place of employment,” he explained. Mr Cohen added, “Surely there is no need or requirement for blanket discrimination? The explanation that it is not discriminatory as it applies to anyone wearing a religious symbol is blatant nonsense. Independent Senator Rónán Mullen said the ruling appeared to go against a previous ruling of the European Court of Human Rights. “This is probably because the focus of this court is on economic rights,” he suggested. “I would be concerned if employers were to use this ruling to impose on people’s freedom of expression in unreasonable ways,” he told www.catholicireland.net. However, he also noted that there has to be a pre-existing internal rule so that there cannot be any arbitrary decision making. The Senator said he recognised that there is a balance to be struck. “An employer may wish to avoid possible distractions or conflicts caused by the wearing of strong political, philosophical or religious messaging. A Muslim woman in Belgium had challenged, on grounds of discrimination, a company policy prohibiting the wearing of an Islamic headscarf or hijab. However, the ECJ, the EU’s highest court, ruled that when an internal rule prohibits the visible wearing of any political, philosophical or religious sign, it does not constitute direct discrimination; but if there is no such policy, an employee cannot be forced to remove a headscarf. Shaykh Dr Umar Al-Qadri, who is Head Imam of Al-Mustafa Islamic Educational and Cultural Centre of Ireland, said the ruling was “a very serious threat to the principles of tolerance, equality and religious freedom in Europe”. He said it gives companies the right to adopt a dress code banning the hijab and empowering anti-Muslim employers with a justification for their prejudice. He warned that Islamophobia is increasing, especially in Belgium, France and the Netherlands for Muslim women but also Muslim men, who he said are finding it increasingly difficult to find employment. 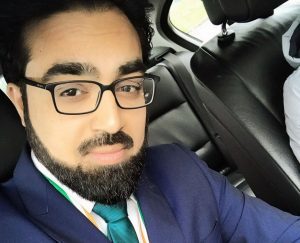 He told www.catholicireland.net that his wife had said that if any potential employer tells her she is not allowed to wear the hijab she won’t go for that job because the hijab is part of her identity. He said religious leaders were consulting with other religious communities about the outcome before they make any contact with the Government on the matter. “It is about our society and equality, tolerance and having pluralism and diversity. Therefore, we are going to engage and consult with other parties affected and then contact the Government,” he said. Shaykh Umar Al-Qadri’s comments were made ahead of a rally outside the European Commission Building in Dublin on Tuesday organised by Muslim Sisters of Eire and ENAR Ireland (European Network Against Racism Ireland). John Dalhuisen, director of Amnesty International’s Europe and Central Asia programme, said the ECJ’s decision gave “greater leeway to employers to discriminate against women – and men – on the grounds of religious belief”.